For the medium to long hitters driver is not the shot as the tight fairway narrows closer to the green. 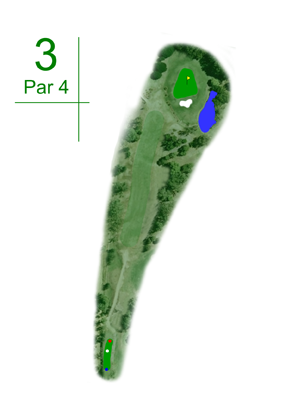 The percentage shot is a 180 to 200 metre tee shot leaving a short iron to a green protected by a bunker and hazards. Safe shot, be long.